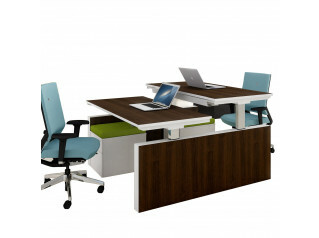 Stand Up Desk is a height adjustable single desk system for today's open plan office. Even the best office chair money can buy will not solve the problem of fatigue and stress on the body if we sit down at work for 8 hours solid. According to the manufacturer's studies, 70% of employees complain about physical discomfort in office. 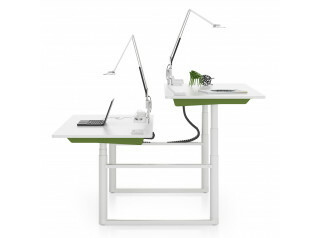 The Stand Up system provides a modern solution to this problem by allowing the user to stretch his or her legs whenever they wish to, whilst continuing to work. 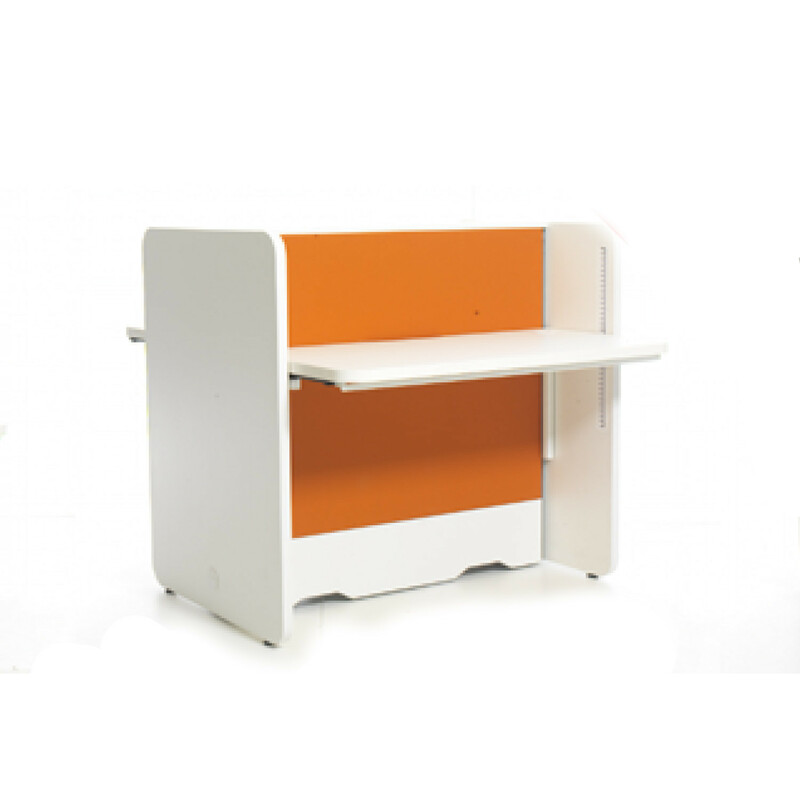 This function increases productivity, directly benefiting any company who introduces the Stand Up Desk into its office. 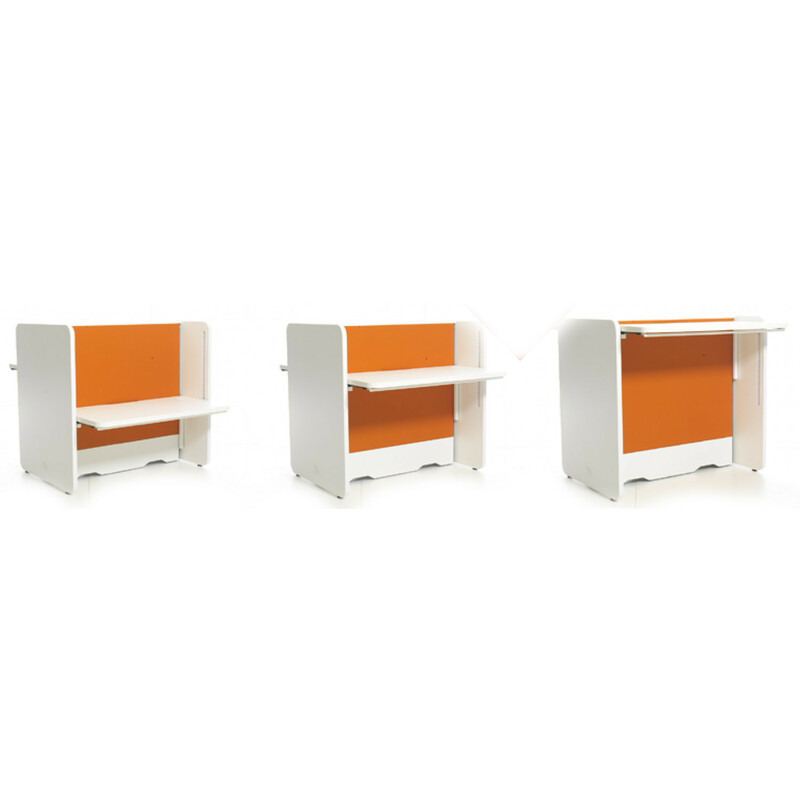 There are a significant number of modular options in the Stand Up system for you to choose from. 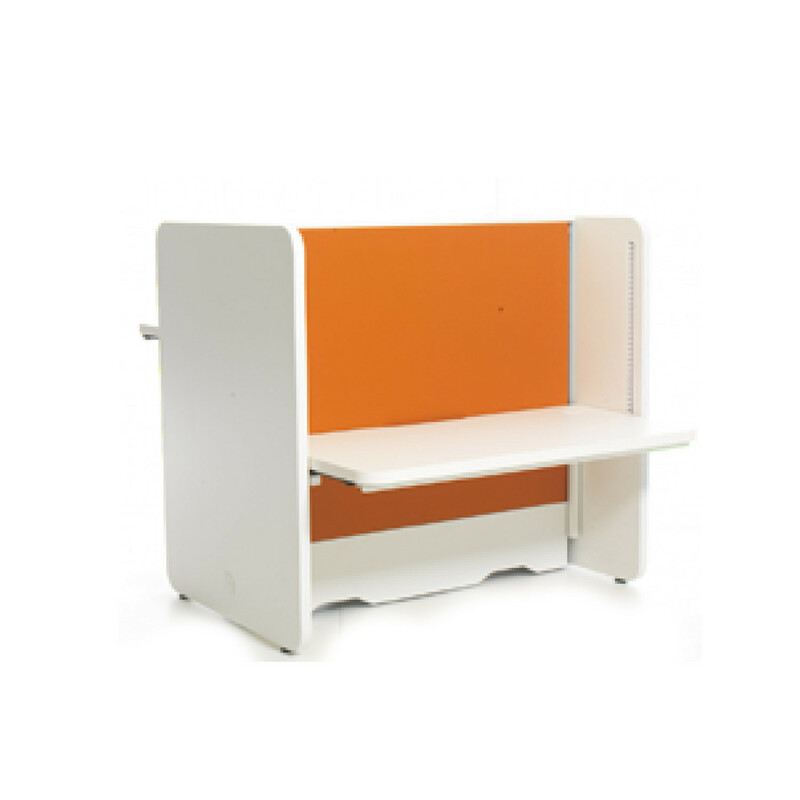 Height adjustable single desks, and adjustable height bench desks are available, with middle desk and final desk elements providing a cohesive unit whilst providing space for each user. Storage is taken care of via the single or shared cabinets and pencil trays, and there is the option of a cable management tray to keep your tech tidy. Power modules are integrated so you can charge your devices from a clean and tidy surface, with no external power source required. The ratchet height adjustment range on Stand Up is 650mm - 1250mm, so the desk surface can be positioned perfectly for every user. 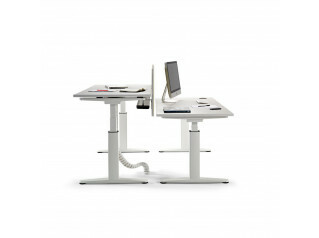 As sit-stand solutions go, we think Stand Up should be paid close attention. See also the Stand Up Bench Desk. 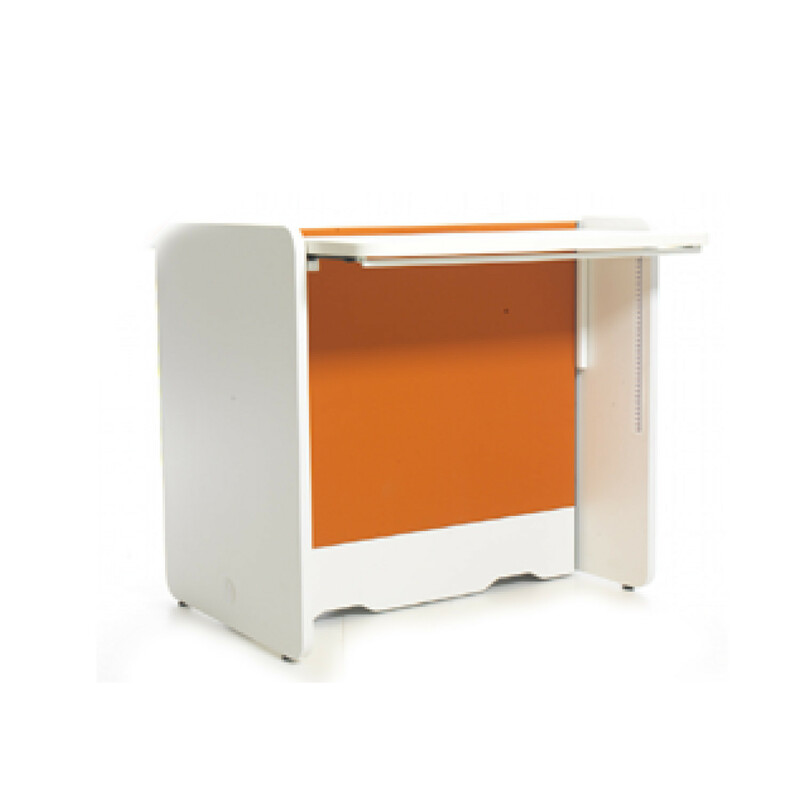 You are requesting a price for the "Stand Up Desk"
To create a new project and add "Stand Up Desk" to it please click the button below. To add "Stand Up Desk" to an existing project please select below.